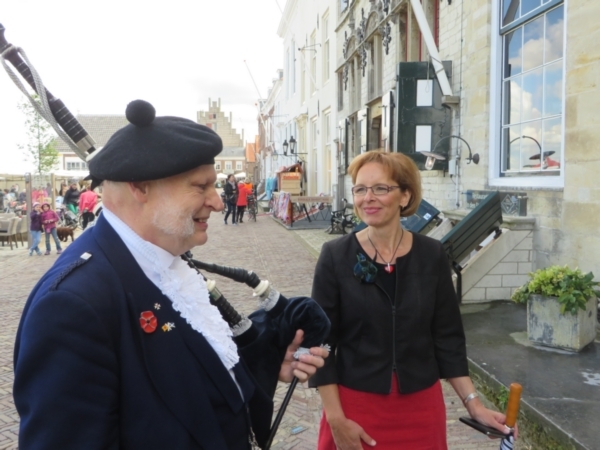 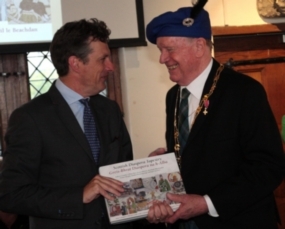 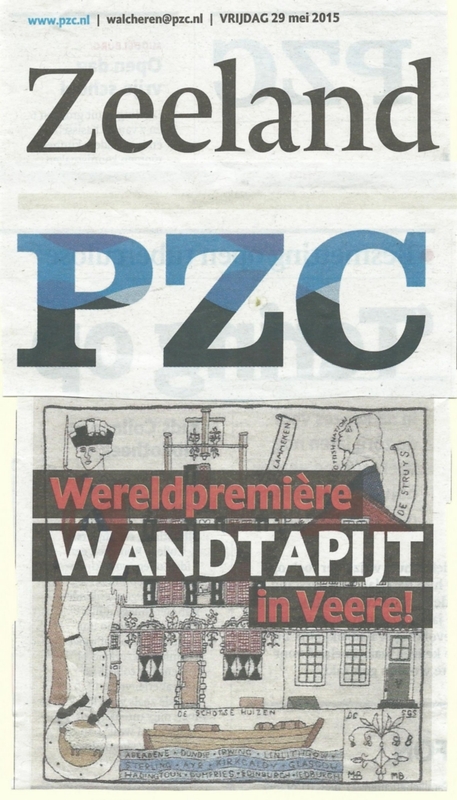 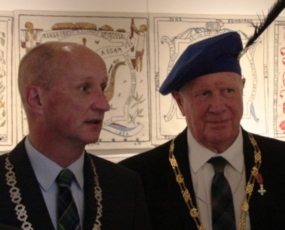 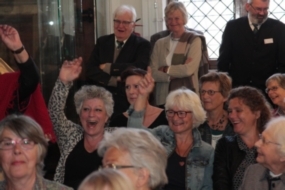 11-Jun-2015 The British Ambassador joins with the Mayor of Veere to celebrate the Tapestry's arrival in The Netherlands! 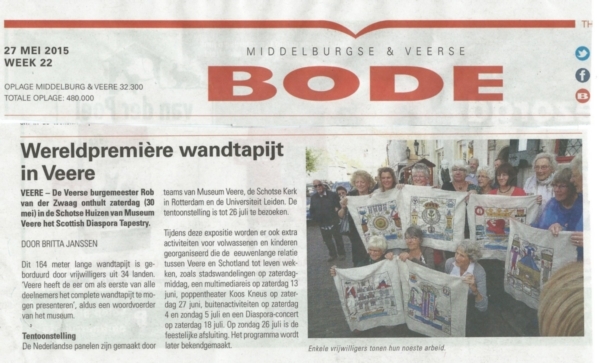 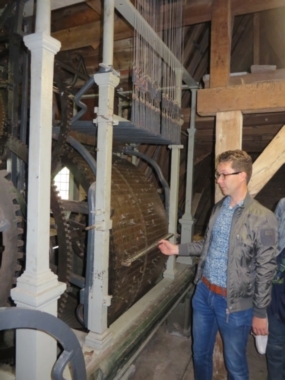 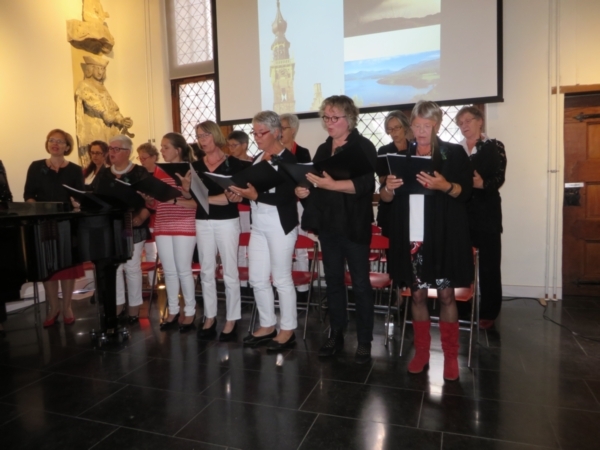 It was very much a musical occasion when the Tapestry opened, with the sound of the pipes filling the streets of Veere, the Middleburg Singers entertaining throughout the opening event itself, and the the City Hall's pin organ mechanism playing Loch Lomond on the half hour for the duration of the exhibition! 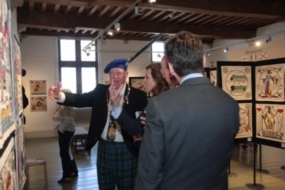 The exhibition officially opened with great ceremony on Saturday. 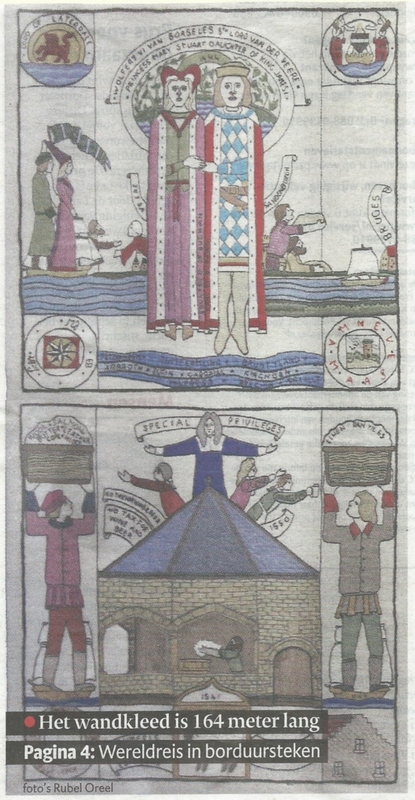 The event also featured the presentation to the Scots House Museum of the long lost badge of office of The Conservator of Scottish Privileges - found in an attic by Sir John Dermot Turing, Nova Scotia Baronet [see panels CA 01/02 ], a Conservatorial descendant. 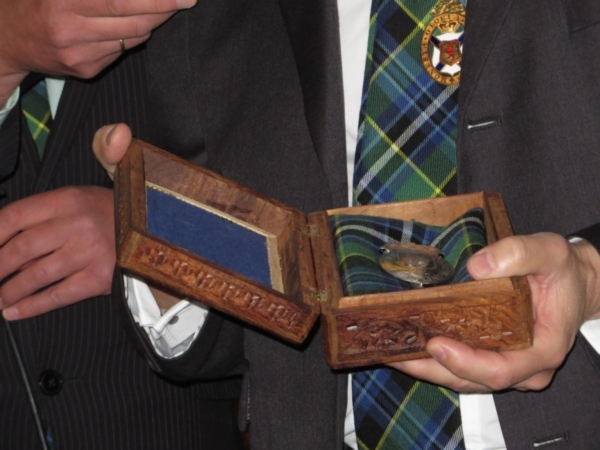 He was there to present it to the current encumbent, boxed and bedded on the Veere tartan. 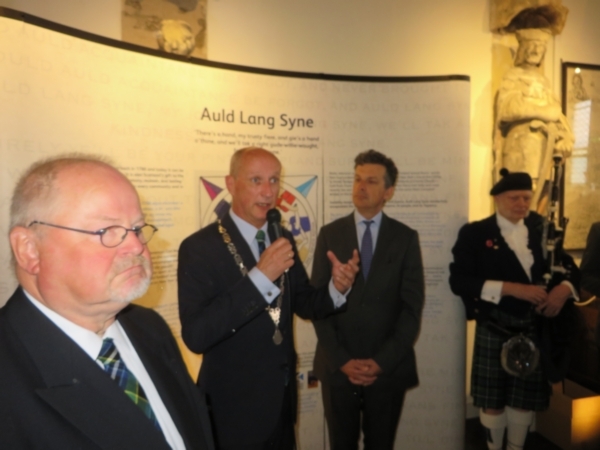 ... and finally, the British Ambassador to The Netherlands, Sir Geoffrey Adams together with the Mayor of Veere took his place before the Auld Lang Syne board, before the song - as our tapestry tradition now demands - was boisterously sung. 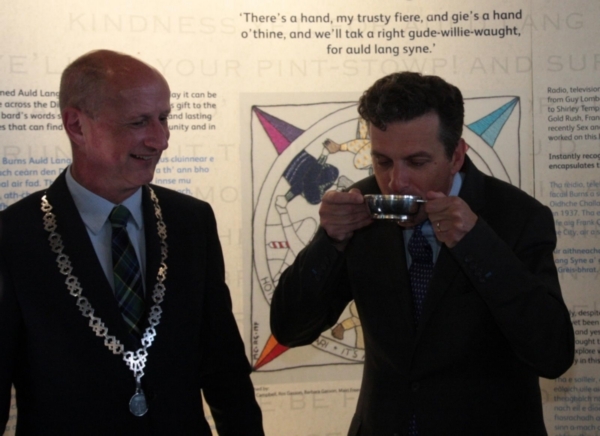 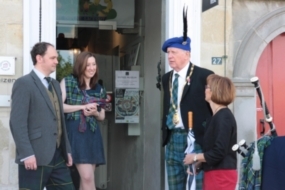 The Exhibition was declared open and toasted in champagne with a quaich of whisky to share for the ViPs - lucky them! 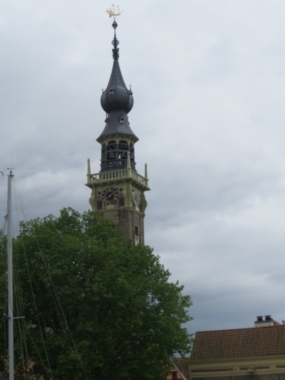 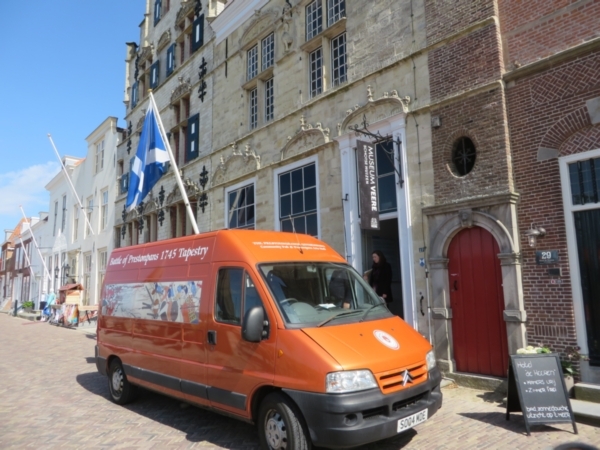 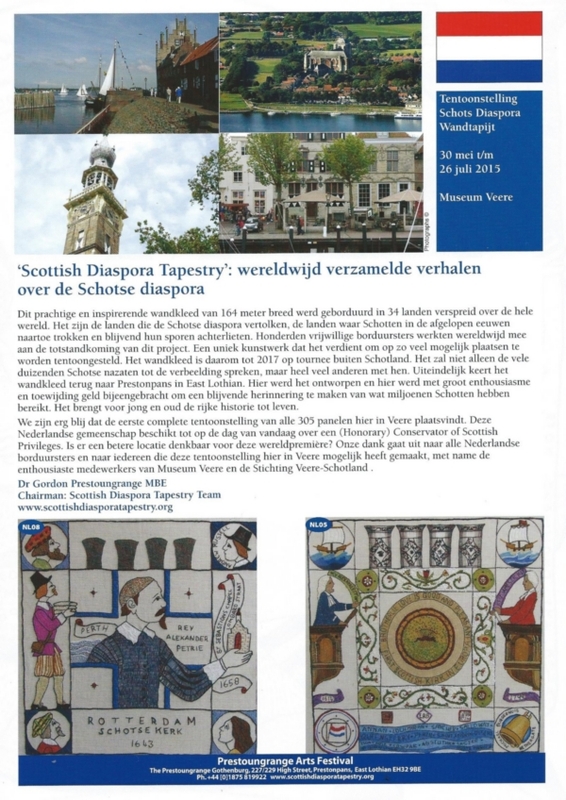 We here in Scotland are all incredibly grateful to our hosts in Veere for displaying such enthusiasm, hard work, and friendship throughout their involvement with the Tapestry and its exhibition in The Netherlands.